Q. When is cheap courier insurance not cheap courier insurance? A. When you come to make a claim and realise that you’re not covered for what you do. There are plenty of shortcuts to cheap courier insurance. But what happens when you’re not properly covered? The short answer is that you can be out of pocket – underinsured, or not insured at all. Not only do you risk damage to your finances, you also risk damaging the reputation of your business. In some cases, businesses can be destroyed overnight due to one incident – a road traffic accident, or a claim by a customer who suffers an accident while you are loading their goods on to your van – if you don’t have the right insurance to cover these risks. Starting with your vehicle, there are many temptations when it comes to taking out insurance to keep the cost down, and most people will want to take out a minimum level of cover in order to do this. However, there are obvious issues with this. Cutting costs often means cutting cover, and there are plenty of examples seen every day of couriers not being insured properly for the work that they do. This can include anything from underestimating the cost of vehicles to keep the insurance premium down, to not having appropriate goods in transit insurance. Your risks aren’t just limited to the road. If you employ members of staff, then you need employers’ liability insurance. If you deal with members of the public – as you inevitably will as part of your courier job – then public liability insurance is also extremely useful. The point is, try to save money upfront, and you might well find that it comes back to bite you later down the line. There are ways to keep the costs manageable without having to cut corners on courier insurance cover. The most obvious way of doing this is to set up a payment plan, which is available – subject to status – to ChoiceQuote courier insurance customers. A range of repayment options are available to spread the cost throughout the year, starting with an initial deposit plus 3 further instalments, through to an initial deposit plus 9 instalments. 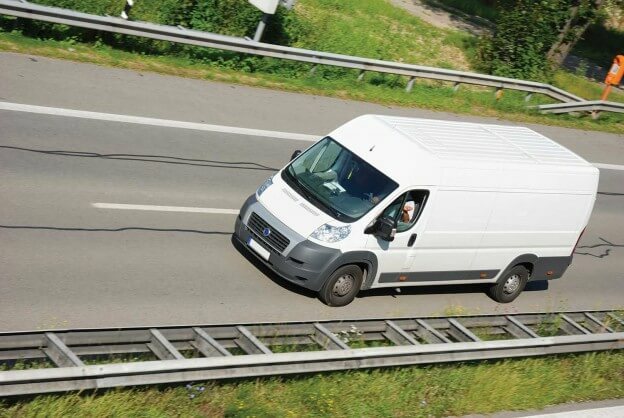 If you purchase more than one insurance product together – such as goods in transit cover or public liability insurance, alongside your main courier van insurance policy – then this can really help your business to budget for the cost of insurance, so it does not come as an annual shock to your finances! ChoiceQuote has been offering some of the best courier insurance products in the market for over 20 years now. Why not speak to us on 0800 440 2180, or fill in our online quote form so we can search the market for you and show you the benefit of our experience in offering cheap courier insurance.